28 years, 7 months, 1 day old age. Nia Sharma will turn 29 on 17 September, 2019. Only 4 months, 29 days, 3 hours, 6 minutes has left for her next birthday. Nia Sharma has celebrated the total number of 28 birthdays till date. See the analysis by days count and bar graph. 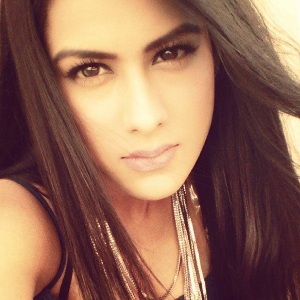 Nia Sharma was born on 17-09-1990 in Delhi, India. She is an Indian Television Actress, Soap Opera Actress & Model. Nia Sharma finished her graduation from "JIMS" (Rohini, Delhi) in Mass Communication. Neha Sharma was her actual birth name. She changed her name from "Neha to Nia" because her birth name seemed very common. She lives with her elder brother and mother. Her mother is a real inspiration for her as she stated in an interview, even she is her best friend also to whom she shares every experience of her life. According to Top 50 Sexiest Asian Women list, Nia Sharma positioned at the third in 2016 and also at the second position in 2017", as per by British-based Eastern Eye newspaper." "Kaali- Ek Agnipariksha" was "Nia Sharma" debut daily soap and her another subsequent proceed with the serial 'Behnein. "In the reality show"The Player" in which she was having very shot( cameo) role. In 2011 Nia acted in "Ek Hazaaron Mein Meri Behna Hai" as a female Lead character by the name "Maanvi." In soap opera Jamai Raja in which she played the character of Roshni. In the year 2017 Nia Sharma, in reality, show Fear Factor: Khatron Ke Khiladi and she finished on the position of top 5 finalists. Nia went to become bald for her onscreen appearance, and due to her most significant performance. In the year 2012, Indian Telly Awards, she became the emerging face of daily soaps, and she won the "(Best Actress Popular - Desh Ki Dhadkan)" award. In 2017, Vikram Bhatt web series Twisted Nia role in "Twisted" as a character name "Alia Mukherjee" was more challenging as compared to her previous played characters in daily soaps. She was born to Usha Sharma. She has an elder brother named Vinay Sharma. She is a trained belly dancing. On every day she changes her nail paint due to her habit. She was hydrophobic, and she decided to overcome her fear by learning swimming. She likes to listen to EDM (electronic dance music) songs.